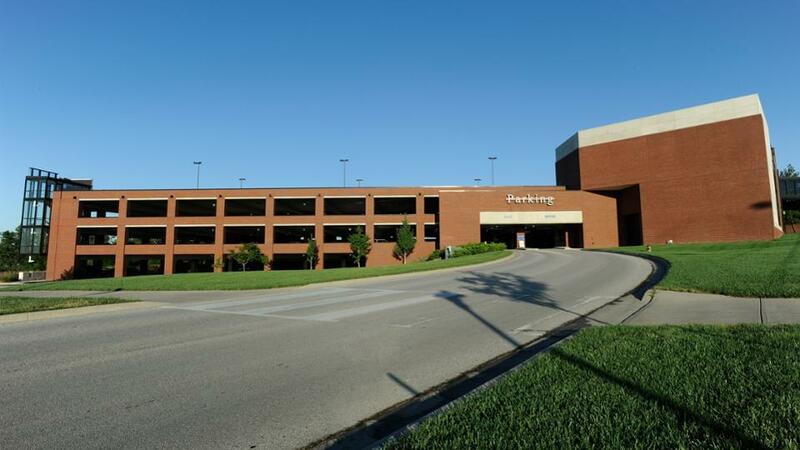 JCCC has more than 5,200 parking spaces in lots that surround the buildings on campus. Parking areas are white and indicated by the letter P.
Elevator locations are indicated by a triangle. Automatic doors are indicated by a yellow square. Underground accessible entrances are indicated by a hexagon. 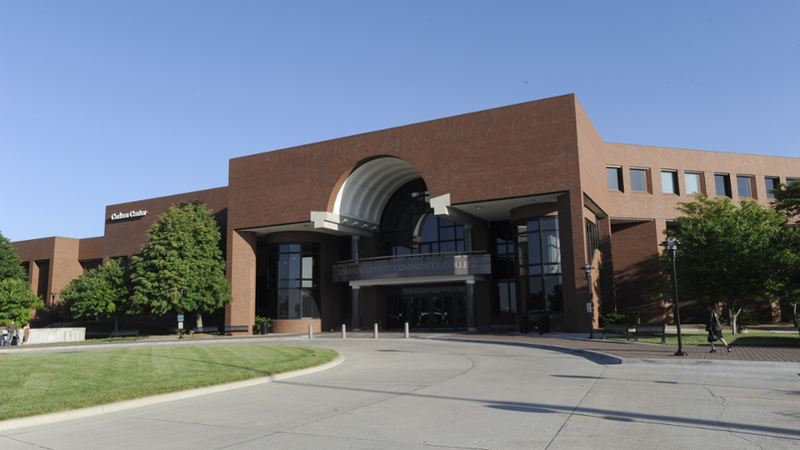 JCCC parking garages are located near the Carlsen Center (CC), the Classroom Laboratory Building (CLB) and the Regnier Center (RC). The multi-level parking structure connects to the second floor of the CLB. 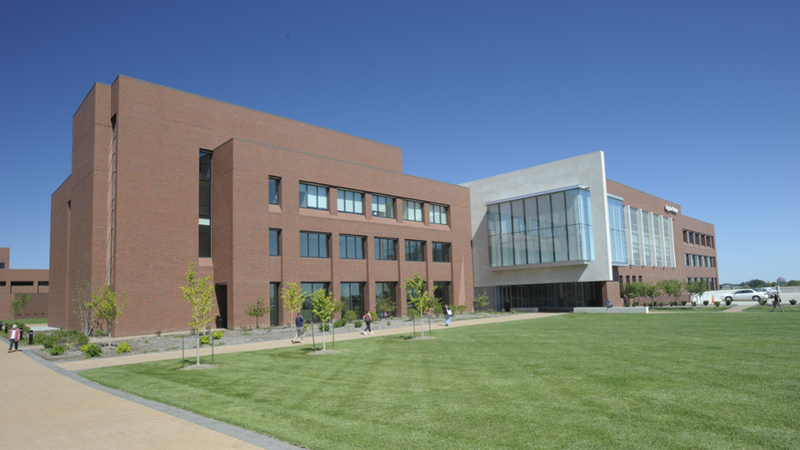 The Regnier Center parking garage connects to the lower level of the RC. 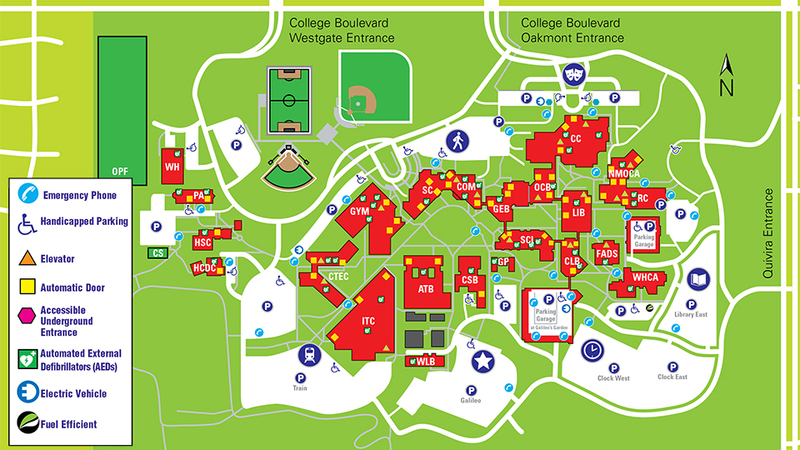 Parking garages are located to the east and west of the Carlsen Center.